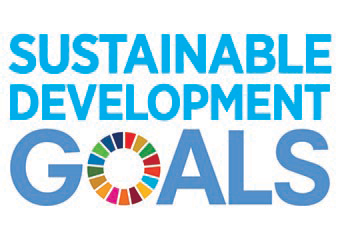 The United Nations Sustainable Development Goals (SDGs) provide a global agenda for sustainable development. They were adopted in 2015 by 193 member states and are to be achieved by 2030. Comprised of 17 goals and 169 targets, the SDGs tackle the most pressing challenges of today. While national governments are the primary implementing agency, academic institutions are an important actor to lend support. The report Yale Scholarship and the Sustainable Development Goals demonstrates that Yale’s academic activities connect to all 17 of the SDGs and that each Yale School or Department connects to at least one of the Goals. Using the database, the Office of Sustainability can generate multidisciplinary lists of faculty and researchers by SDG or by interdisciplinary interests – such as human health and cities, or economic growth and gender equity. Similarly, the database can be sorted by department or by professional school to show its SDG distribution. An important caveat to this work is that the database is based on publicly available information. While efforts were made to reduce human error, and standardize the process, identifying the connections to the SDGs was ultimately subjective. As a next step, the Sustainability team will solicit feedback from select departments. With just 12 years to go until the 2030 SDGs deadline, there is an imperative to be proactive and dynamic about advancing the aims of the SDGs. The Yale Office of Sustainability welcomes collaboration and suggestions on this work; please feel free to email us.